Marsh Cudweed is a small and rather uninteresting-looking plant of paths, sandy fields and bare ground on acid soils. The flowers are tiny and arranged in small, rather inconspicuous heads. 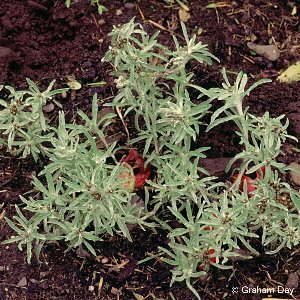 It is perhaps interesting to recall that this dull-looking plant is related to the famous edelweiss of the European mountains! All names: Gnaphalium uliginosum L.; Filaginella uliginosum (L.) Opiz.